– It’s the foundation of your online presence. These days everyone needs an online presence. It’s so obvious it’s barely worth saying, yet some businesses still don’t realise the importance of having a decent website. Well, it’s the foundation on which everything else is based and could easily be the first impression your audience has of your brand, so making sure it’s spot on is key. – It’s where all online marketing activity is directed. It’s a core part of your online marketing strategy with everything else you do pointing towards your website, and that means it’s vital to get it right unless you want to be a huge disappointment—if someone’s followed a link you need to wow them, and anything less than that will mean they start looking elsewhere. – An appealing site will attract attention and influence customers. Web users browse hundreds of sites every month so it’s vital yours stands out from the crowd. A good design will attract attention and encourage visitors to stick around—people will stay on a website 3 times longer if it’s more visually appealing whilst 74% of online shoppers say that a great website influences their buying habits, so a decent site will ensure you’re ahead of the competition. – It can build your brand, reputation and sales. Your website should be the perfect reflection of your brand, ensuring you’re delivering a consistent message to your audience whilst giving customers a great first impression (you’ve got 10 seconds to make an impact and convey the right message so getting the design right is key), and a decent site can be a great way to build on that whilst boosting your reputation in the process. Plus, it can lead to more sales as well—what more reason do you need? 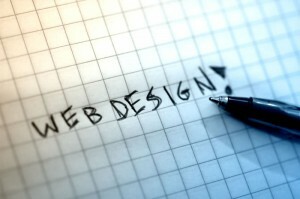 The importance of good web design can never be underestimated, so remember that as you enter the new year (and perhaps implement a few tweaks if necessary) and you can look forward to a profitable 2013 with a design that works.